Google Drive integration is available for districts that want to enable it. Integrating with Google Drive lets you see your Drive from the new School Loop locker, and makes it easy to move files back and forth between Drive and your lockers. Students can submit work from Drive to assignments and if those submissions are Google Docs, then teachers can view, add comments and interact with students directly within the Google Doc. District administrators must ask School Loop to enable this feature before it is available to all users. Students can submit Google docs to assignments. 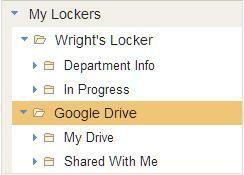 Students can use the "Submit from Locker" link in every School Loop assignment to submit work from Google Drive. When a student submits a native Google document to an assignment, School Loop submits the Google doc and a copy of the work as either a PDF or RTF document. The copy is a snapshot of the Google document at the time of submission. No changes to the document made after submission will be reflected in the snapshot unless the student resubmits the assignment. Teachers can view submitted work from their portal or through the gradebook. Students can also submit non-native files from Drive; those submissions are the same format (text file, Word, Excel, etc.) as the original document. Note: When students submit a native Google document (Docs, Sheets, Slides & Forms) to an assignment, teachers also receive a snapshot of the document. Consequently, it is not necessary for students to share their Google documents with their teachers. 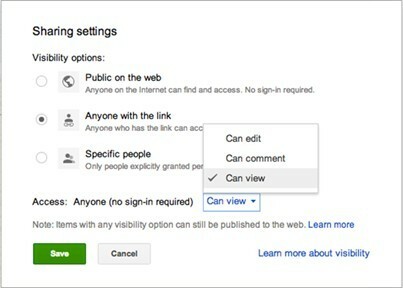 Sharing is still required for non non-native Google docs like PDFs. Q: How do I turn on Google Drive integration? A: Your district needs to request that School Loop enable Google Drive for the district before you can use this new feature.